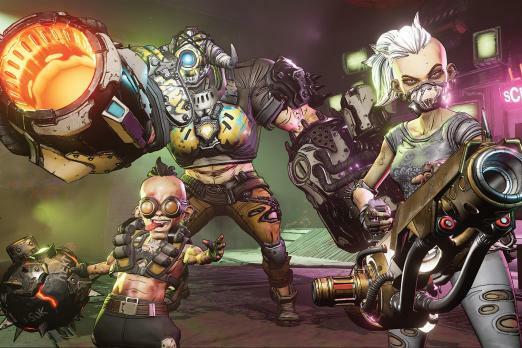 Recently, Gearbox Software’s Borderlands 3 was announced as yet another Epic Games Store timed exclusive, much to the disappointment of fans everywhere. Epic Games has seen a lot of backlash lately for what many consider to be underhanded, anti-competitive tactics (among many other issues) but it is not without its own supporters. Gearbox CEO Randy Pitchford has taken to Twitter to defend Epic Games and make clear its stand on the Epic Games Store and the exclusive rights deal between the two companies. The rant started when Twitter user @LilMcflurry mentioned the Gearbox CEO in a post asking politely, but also quite desperately, that fans’ opinions be listened to and heard. Pitchford, who has been on Twitter non-stop responding to a lot of backlash and hate from fans who were angry at the decision to sign with the Epic Games Store, accepted the invitation for discussion. The result: a massive tweetstorm from Randy Pitchford defending Epic Games, vilifying Steam, and his views on the future of the industry. If you want to see an impressively put-together compilation of these tweets, feel free to read all about it on this Reddit post, courtesty of user Slawrfp. Throughout Pitchford’s Twitter monologue, he goes in-depth about why he believes that the decision to go with Epic Games Store was the right one. He details that Steam has had a monopoly over the PC Gaming industry for years, and that it had the gaming community in a stranglehold. His arguments point toward Epic Games Store freeing the industry from that monopoly, and that the reason why gamers are lashing out is because of a pseudo-Stockholm Syndrome. His argument, basically, is that Steam is bad and that gamers only like it because for years it was the only option. To Pitchford, Epic Games is our knight in shining armor. It may be an extreme interpretation, but it’s definitely rubbed many in the gaming community the wrong way. Mostly, the gap isn’t between Epic Games and Steam. It’s between developers and consumers. Epic Games gives developers a much better share of revenue compared to Steam’s almost ridiculous 30%. Despite the massive cut that Steam takes, developers have been using the platform, giving Valve almost a third of their earnings, just to give their game a spot on the Steam store. Compared to Epic Games’ 12% share, Steam is robbing game developers blind. And of course, we’re sure that many gamers would be willing to see that for what it is, if it wasn’t for the fact that the Epic Games Store is, at the moment, extremely anti-consumer. Epic's digital store doesn’t have a lot of features, and outright refuses to implement features that gamers benefit from. It currently has no cloud saves, no user reviews, and no plans at all to host game community forums. We’re definitely open to a store that encourages game development with better revenue sharing, but why does it have to come at the cost of the consumer, especially since a lot of these features are relatively easy and cost-effective to build? If you want to share your own views and opinions over the what’s happening over at the Epic Games Store, let us know in the comments section below!